If you are pregnant, or a new parent, congratulations. I specialise in helping you let go of birth fears, overcoming a previous birth, and in coping with the challenges that pregnancy and new parenthood bring. If you are a mum or a dad suffering from postnatal depression, anxiety or birth trauma, please know that you are not alone. The following are areas that I have plenty of experience in helping with. As a Perinatal Clinical Psychologist, I spent 12 years running hypnobirthing classes, I co-created the Mindful Mamma hypnobirthing class, I am a birth doula with 10 years experience, and I have been running training days for midwives in mental health for 10 years. 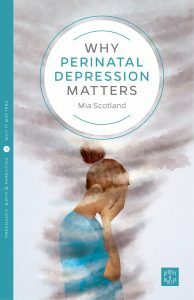 I am also author of “Why Perinatal Depression Matters” published by Pinter and Martin. I work with mothers, fathers and with couples.